Healthy Ambitions in 2016 (Healthier At Least) - Reclusive Fox ""
I don’t like to make New year Resolutions as most of them fail. That being said I did find myself thinking about what I want to change in 2016 and the main things that popped up were concerning my health. 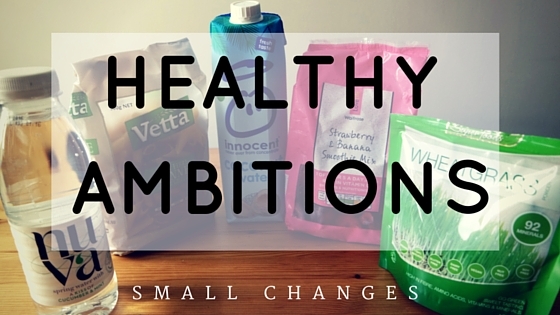 Rather than making huge goals for myself I’ve decided to do things in small and achievable bite sized chunks. One of the things I’m doing is the 30 Day Yoga Camp that I blogged about last week (loving it still by the way!) and another thing is making subtle changes to my diet. I do eat a lot of rubbish still, especially now I am working in an office. It’s all too easy to consume lots of decaf tea (with two sugars) when your work colleague is constantly offering a fresh cup. I also tend to choose chocolate bars and crisps to compliment my cheese sandwich – all terrible! I also have very limited cooking skills, it’s not an activity I like in the slightest and so I choose foods that are easy to make and terribly boring. Last year I did stop relying on processed foods as much as I was, I do make my own Sweet potato chips and so on, but I figured a few more changes will do some good. Now we have moved we’re very close to a natural spring. We started off visiting the spring to collect water once or twice a week. Now we’ve slacked off on this good habit and it’s something I want to bring back into our lives. When we’re on the go I’ve been looking for drinks with low sugar content and trying different waters. 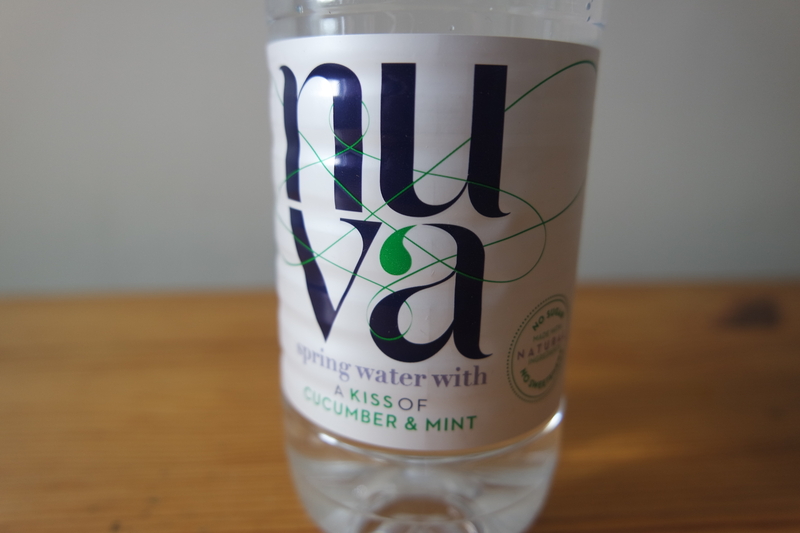 One of the ones I tried was the NUVA spring water that comes with a hint of different flavours, such as cucumber and mint. I’m lucky as I seem to have a good digestive system but others in my family aren’t quite so lucky. So I want to find ways of increasing fibre. Simple cereals are good for this, long live Weetabix, and obviously adding more vegetables will go a long way to help, but that’s not always so useful when faced with picky eaters that have ever-changing hankerings. 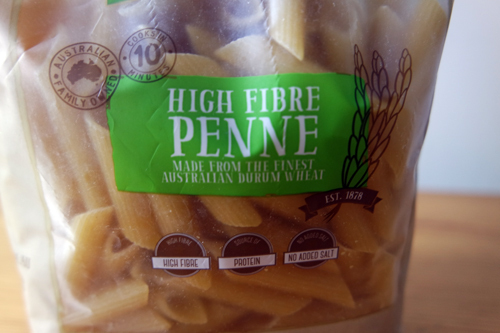 One of the additions to my food cupboard has been Vetta, a high-fibre pasta that’s a great staple to have in the home. No one has noticed the addition of this healthier pasta, which is a good thing if you ask me. There’s a lot of talk about fruit being too high in natural sugar these days but I’m not buying into that. Fruit is beautiful tasty and full of goodness so there’s no way I’m going to stop eating it, but I still don’t eat enough in my opinion. I plan on making much better use of my smoothie maker. I do like convenience so I am a sucker for ready chopped fruits to keep in the freezer, they stop the fruit going off in the fruit bowl! 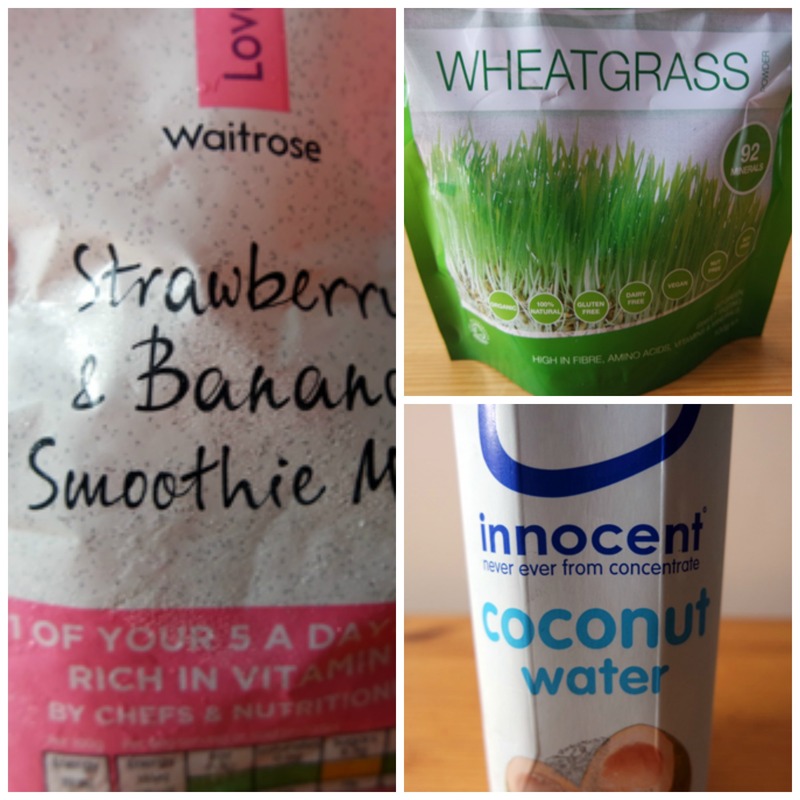 Love Life Strawberry and Banana Smoothies by Waitrose are a popular choice with everyone. Mix it with apple juice, coconut water, wheatgrass, anything really. I’m hoping for improved energy and a healthier body and mind and small changes make a big difference. Those are some of the new additions in our kitchen and we’re committed to buying better quality meats even if it means eating less meat as a whole. So many positive ambitions! Your smoothies sounds great (and I agree, fruit has goodness in it) and I know that it can be so tempting food-wise in an office. I hope you have a healthy 2016!